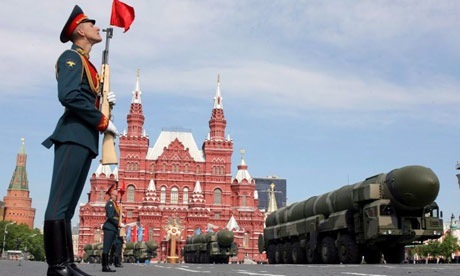 Moscow, which conspicuously left out any mention of China’s growing influence and power in its newly adopted military doctrine, is revealing the depth of its alarm, however, through its trade and business decisions, according to a report from Joseph Farah’s G2 Bulletin. The new doctrine takes aim at the North Atlantic Treaty Organization, which Moscow identifies as a threat due to its eastward expansion ambitions. But a glance at the trade balance sheets between Moscow and Beijing and other business decisions reveals an equal concern is developing there. Not only are trade channels drying up, the Kremlin is planning an uptick in military exercises this year focusing on the Far East and also is reaching out to enhance its relationship with nations that surround China, signaling a possible containment policy toward Beijing. Russia recently agreed to sell a dozen Su-30 top-of-the-line fighter aircraft to Vietnam, in addition to an increase in other arms exports such as the recent Vietnamese purchase of six Russian Kilo submarines. A key analyst has concluded that while Moscow’s policy doesn’t directly mention China, it includes references to the nation because of its mention of a “real possibility of military conflict.” The alarm follows China’s training program for what would appear to be an invasion of Russia. Further, Russian-Chinese trade last year fell some 31.8 percent from 2008, to only $38.8 billion.